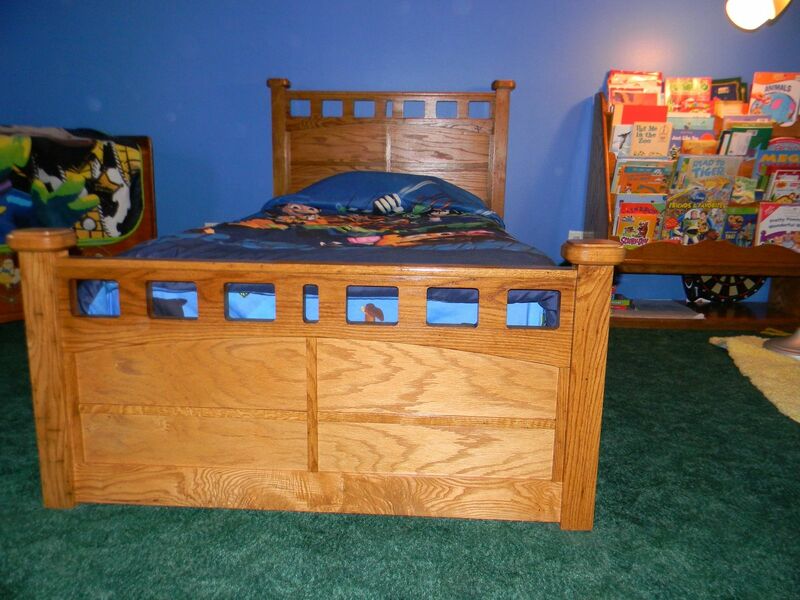 Kids solid oak bed with laminated oak plywood for panels. Golden oak stain with poly finish. 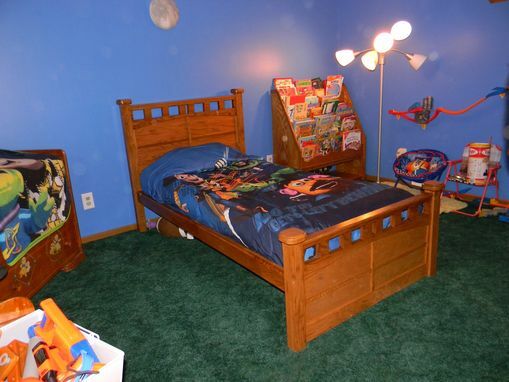 Extra space underneath for storage and hidding under the bed.